Who is Dervla Murphy ? 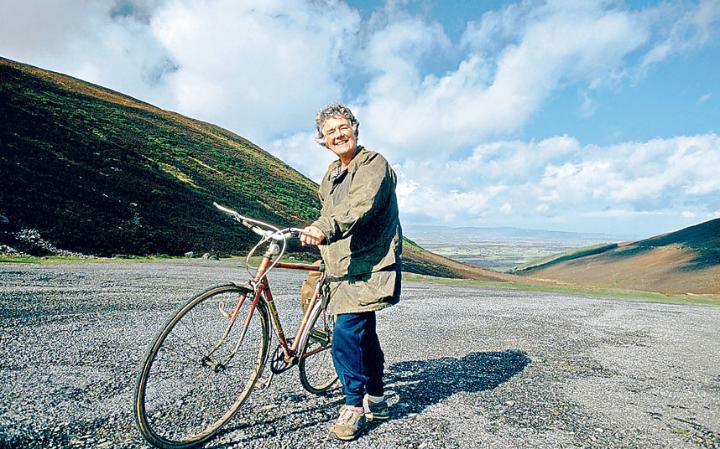 As part of National Bike Week Kerry Cycling Campaign presents Who is Dervla Murphy ? a new documentary which explores the life and the renowned Irish touring cyclist and travel writer Dervla Murphy. Murphy is best known for her 1965 book Full Tilt: Ireland to India With a Bicycle, which chronicles her overland cycling trip from Ireland to India via Europe, Iran, Afghanistan and Pakistan. Dervla Murphy is Ireland’s most prolific travel writer who for five decades has traveled the world alone and with her daughter Rachel. A fiercely independent woman who turned her back on societal conventions at a time when few were as brave, she observed and recorded the world with wonder and curiosity, and an astute political sensibility. But, Who is Dervla Murphy? This new documentary explores the woman behind the words in an interview which shows her personal life to be as fascinating as her extensive journeys. The minutiae of life at home in Lismore and journeys abroad with her grandchildren provide an intimate backdrop to interviews with Dervla, her daughter Rachel, her publisher John Murray and fellow travel writers Manchán Magan and Michael Palin.